Cappadocia is in eastern Anatolia, in the center of what is now Turkey. After ending Persian rule, Alexander the Great intended to rule Cappadocia through one of his military commanders, but Ariarathes, a Persian aristocrat, somehow made himself king of the Cappadocians. He left the kingdom to a line of successors, who mostly bore the name of the founder of the dynasty. 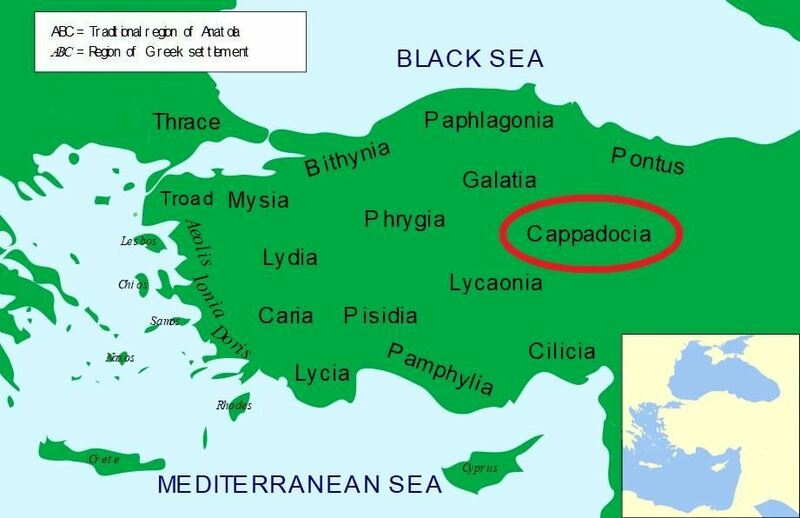 Under Ariarathes IV, Cappadocia became an ally of Rome. The kingdom maintained independence until A.D. 17, when Tiberius reduced Cappadocia to a Roman province. (11) Ariobarzanes II 56 BC ?